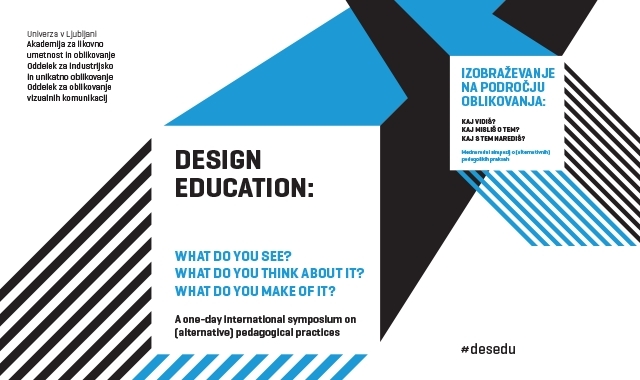 A one day international symposium on alternative pedagogical practices in design education, coordinated by Barbara Predan and Petra Černe Oven. 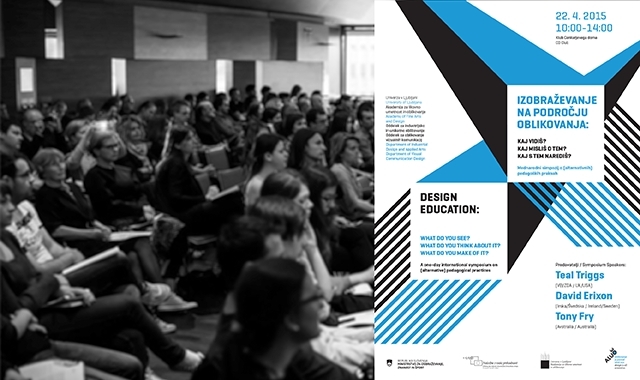 The event was part of celebrating year of 30th anniversary of design education in University in Ljubljana, Academy of fine arts and design. 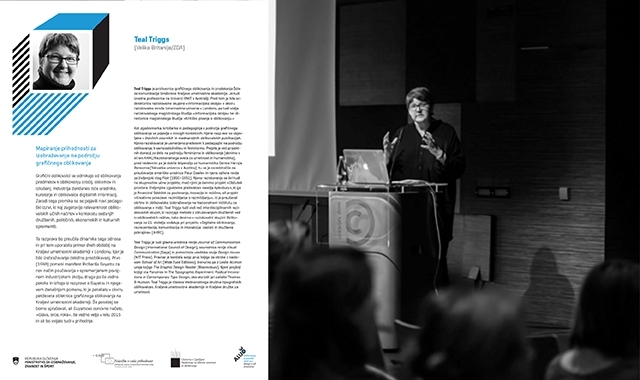 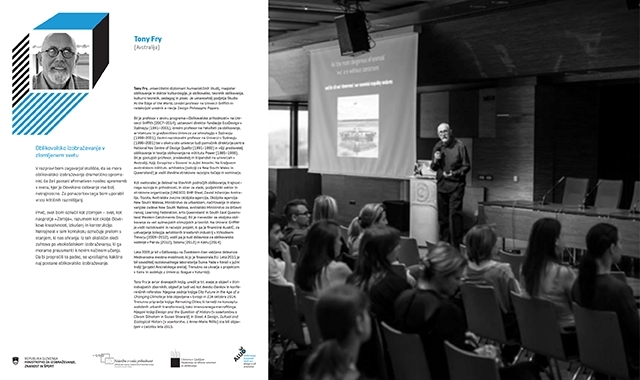 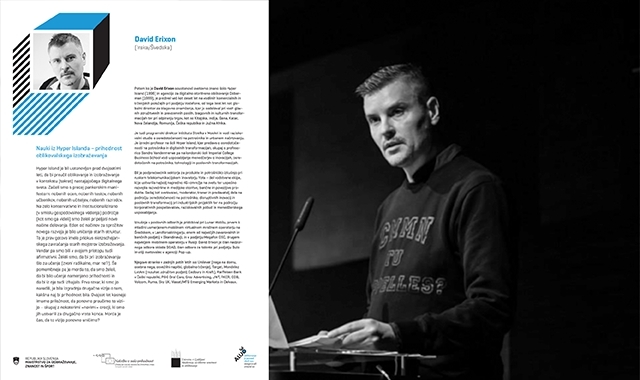 They invited David Erixon from Hyper Island, Tony Fry from CMU and Teal Triggs from Royal College of Art as guest speakers and they addressed Alain Findeli's priorities and particularly of the reform of design education from 2001. 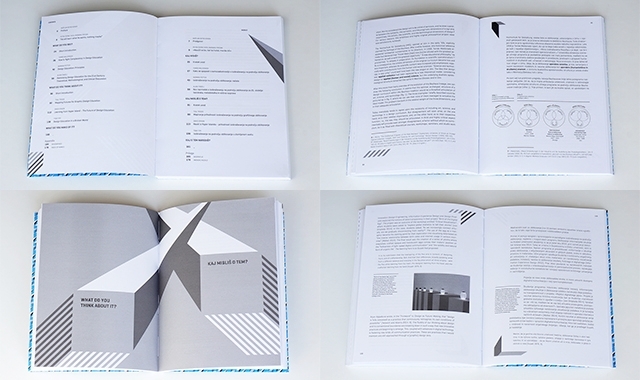 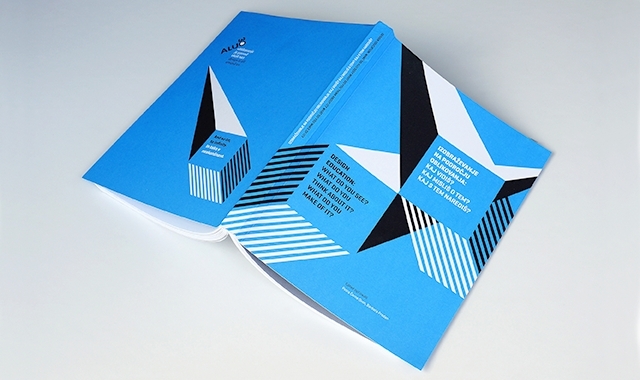 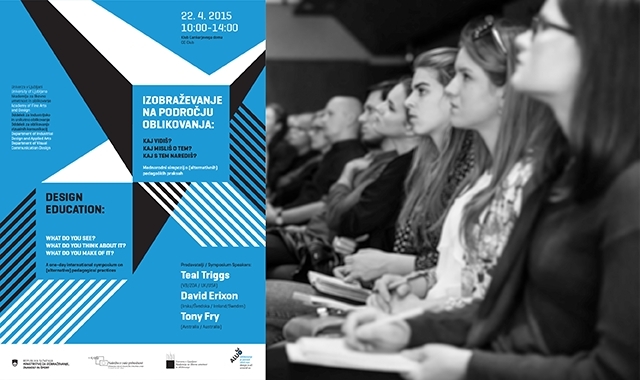 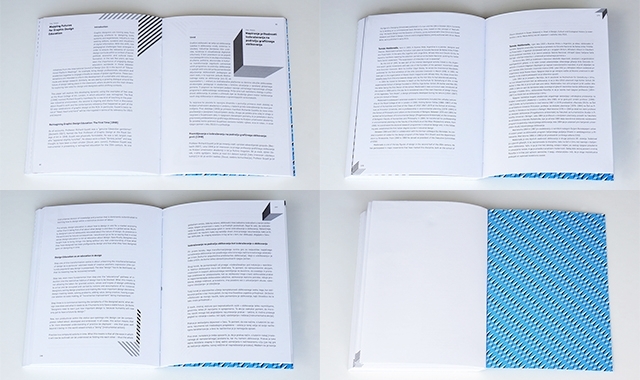 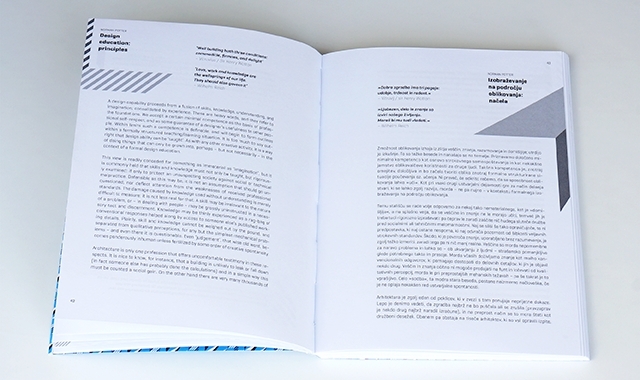 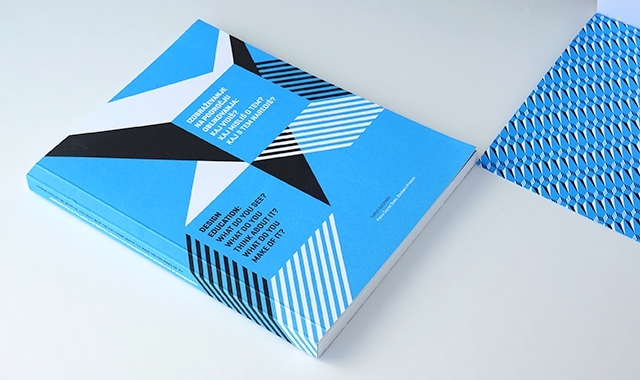 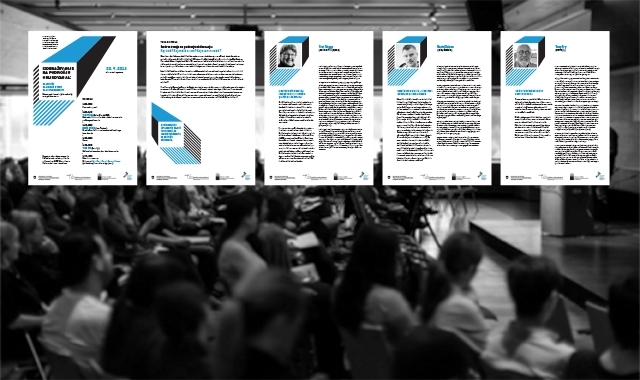 We designed identity for the symposium and latter the book which consist additional articles related to main topic.